You are sitting in traffic behind big commercial trucks, just a few blocks away from the post office where you have to ship some equipment. You start to think, “what if these big shipping trucks could just take my stuff with them…they are driving anyways”. At Cargomatic they are making this a reality. Focusing on pairing B2B companies with commercial truck drivers, Cargomatic is revolutionizing the way we ship. Today, CEO and cofounder, Jonathan Kessler takes us through his company, which has recently expanded beyond Southern California to also serve the New York metro market. 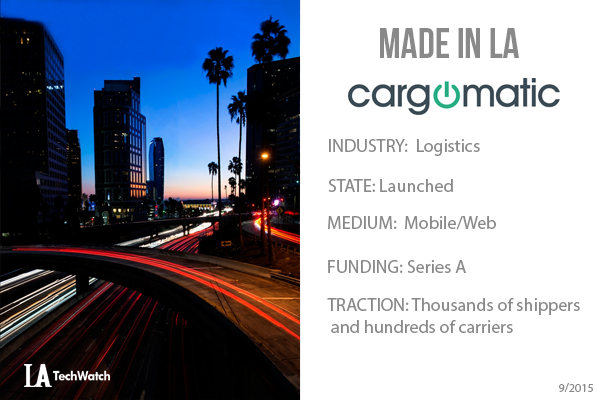 Cargomatic is a technology company that pairs B2B shippers with commercial truck drivers who have extra space on their trucks. 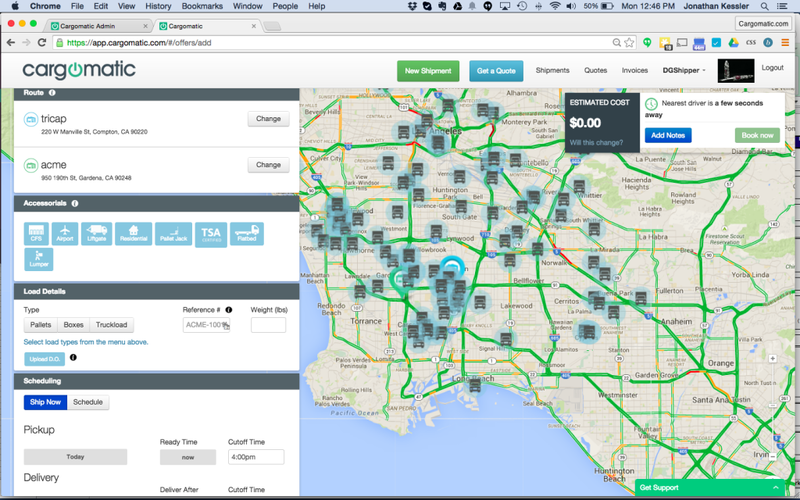 Our mobile app allows shippers to track their freight in real time and helps truckers monetize excess capacity. We’re bringing technology solutions to the logistics industry, which still relies heavily on phone, email and fax communication. Local trucking — or final mile delivery — is an $82 billion industry in the U.S. It’s also highly fragmented. There are 1.2 million trucking companies registered with the Department of Transportation, and 90% of those companies have six trucks or less. We take a small percentage of each shipment booked. It was taking the Uber model and seeing how we could apply it to logistics. My co-founder, Brett Parker, who has a background in logistics, saw the problem — shippers can’t find capacity when they need it. There’s no easy way to connect with carriers. We’re building that platform. We’re scaling the business, so our goal right now is to continue to attract really talented people as we rollout to new locations. If you could be put in touch with one investor in the community who would it be and why? We’ve got a great team of investors. What does being “Made in LA” mean to you and your company? LA has a very close-knit and supportive tech community; it’s been great building a business here. LA is also the biggest market for local freight, so it was a natural fit for us. 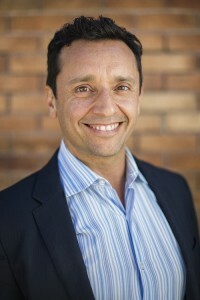 What else can be done to promote early stage entrepreneurship in Los Angeles? The more angel investors there are here and the more experienced entrepreneurs there are, the better the ecosystem will be for early stage companies. I’m excited to be a part of that. We also need to have more exits, which will create more investors in the area. What’s your favorite after-work activity in Los Angeles? Running on the beach… then working more.